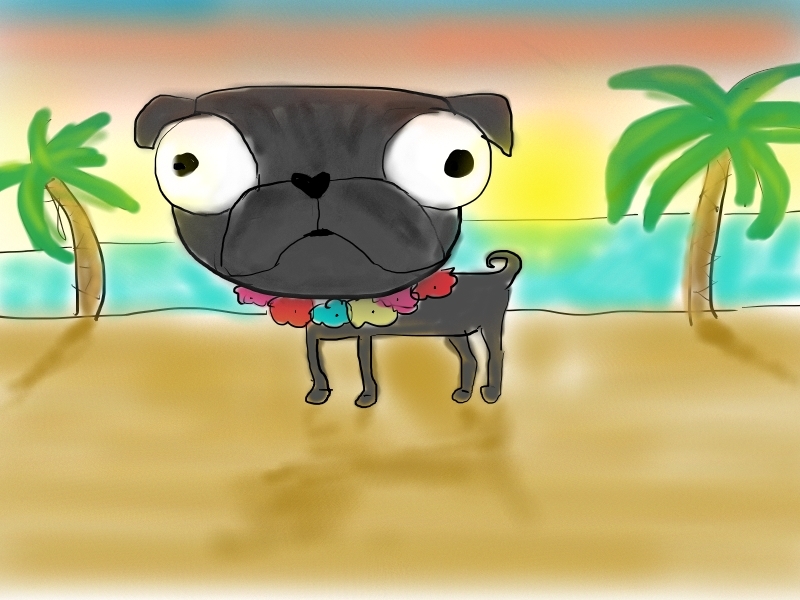 My friend Leslie and her family moved to Hawaii….and while she didn’t submit a photo, she described that her pug Hamlet got lei’d. So here he is, in beautiful Hawaii. Aloha. Orangey. Ruler of the world? You always have such fun and creative posts. I have awarded you The Versatile Blogger Award.